The fans of burger, pizza and other junk food will not be amused to know that large consumption of these foods not only harmful for increasing the weight but they can also cause cancer. 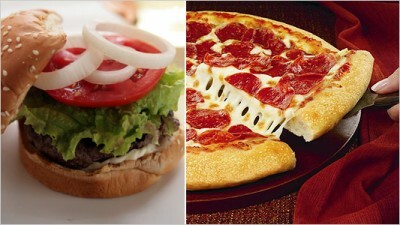 A latest research says that people who are not obese can also suffer from cancer if they consume large amount of burger, pizza and other junk food high in calories. This research was done on 90,000 women with regular intake of junk food and the result shows that these women have 10% more chances of cancer. These women were not obese but the dangers of those cancers were high in them that usually occurred in obese persons. The research also shows that dangers of cancer with junk food increases in aged men women while information regarding its effects on children and younger people require a separate research. These researchers say that these junk foods have less nutrition and more calories that can cause cancer in future due to storage of large amount of calories. In contrast, there are less calories and more nutrition in foods like vegetables, pulses and fruits.